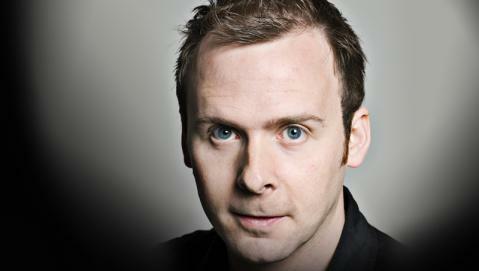 Colin Hoult - creator of Edinburgh Festival's highly acclaimed Carnival Of Monsters, occasional star of Russell Howard's Good News (although Russell might disagree here) and one half of Colin and Fergus - is gracing the Etcetera Theatre in Camden with the debut of his new show on the 18th of January. For one night only, the ringmaster of creeps and freaks will introduce you to Frankie, who's unable to get a job or make friends, but is the guardian of a secret which could save the world (from what we're unsure, but we're going to take a wild guess that it's got something to do with some kind of scaly, egg laying creature). His shows veer from gaffawingly comical to darkly absurd, and whilst we have no idea where this sits within that particular Venn diagram of entertainment, we're eager to see what's been hatching in the dark recesses of Mr Hoult's mind over the past year.